Harvard University Press, 9780674046245, 244pp. In Bedford-Stuyvesant, Brooklyn, pianist Randy Weston and bassist Ahmed Abdul-Malik celebrated with song the revolutions spreading across Africa. In Ghana and South Africa, drummer Guy Warren and vocalist Sathima Bea Benjamin fused local musical forms with the dizzying innovations of modern jazz. These four were among hundreds of musicians in the 1950s and '60s who forged connections between jazz and Africa that definitively reshaped both their music and the world. Each artist identified in particular ways with Africa's struggle for liberation and made music dedicated to, or inspired by, demands for independence and self-determination. That music was the wild, boundary-breaking exultation of modern jazz. The result was an abundance of conversation, collaboration, and tension between African and African American musicians during the era of decolonization. 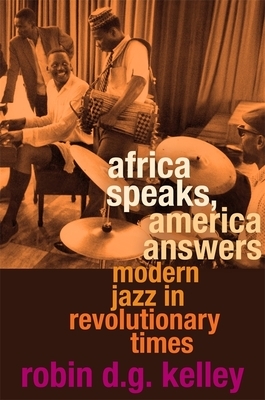 This collective biography demonstrates how modern Africa reshaped jazz, how modern jazz helped form a new African identity, and how musical convergences and crossings altered politics and culture on both continents. In a crucial moment when freedom electrified the African diaspora, these black artists sought one another out to create new modes of expression. Documenting individuals and places, from Lagos to Chicago, from New York to Cape Town, Robin Kelley gives us a meditation on modernity: we see innovation not as an imposition from the West but rather as indigenous, multilingual, and messy, the result of innumerable exchanges across a breadth of cultures.